Learn about business challenges that other attendees are facing that are selected for role plays during the session. Watch several role plays of a business consulting spotlight session and learn about the various stages, skills, and steps involved. Have the opportunity to ask questions of the business consultant about the underlying subject matter of the challenges presented, as well as the business consulting process. Be given the opportunity to practice business consulting skills with a partner or with the presenter. Gain confidence in your business based on the challenges presented and solutions offered, as well as confidence in business consulting skills to use with clients in the future. Looking forward to seeing you in Pittsburgh! Learn more about the NAPO 2017 Conference and register to attend here.So excited to share this video of the highlights from the Brazilian Professional Organizers Conference where I was the international keynote speaker in June 2016. What an impressive event! It's such a great example of how professional organizing is exploding as an industry worldwide. This is your last chance to join me and my fabulous colleague Monica Ricci for the Speak Up Online Program, which starts this Thursday, September 8th. This program will not only help you become a better public speaker, but a better overall communicator. And who wouldn't want to be better at communicating?! Whether you run a business, or have a job, you have to master the art of speaking and communication to effectively engage with your clients, customers, co-workers and the public. And just to give you a taste of what we will cover, and our smart but sassy style, here is an article that Monica recently wrote called Three Things You Should NEVER Do When Making a Presentation. It's great content, funny, and will give you some immediate takeaways. Want the whole kit and caboodle? Join us for Speak Up!! It's not too late to snag a spot and be on the line live with us on Thursday September 8th. Isn't it time to Speak Up? :-) PS. You may have noticed in Monica's article she offers a $75 off coupon, but because you're part of my network, you can save $100 with coupon code SPEAKUPSPECIAL.We have a great group of participants registered for Speak Up: Crafting & Delivering Killer Presentations to Boost Your Business or Career that starts next week, but we still have room for a few more to join us! 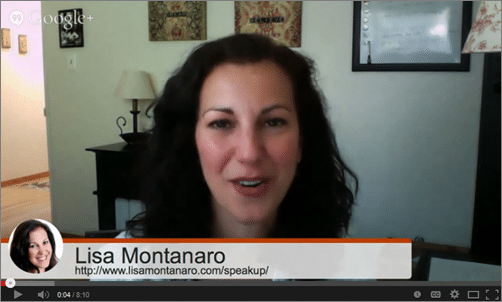 If you haven't peeked at the details for this 8-week program, take a quick look here, https://www.lisamontanaro.com/speakup You know, as my career has evolved, I've always been fairly poised and confident in front of an audience. But there was a time when I would get butterflies in my stomach, or worry that no one would pay attention to my presentations. It took coaching and feedback to get to the point where I'm at now... presenting to large groups, speaking internationally and getting paid really great rates! It was a journey... and I got help along the way. For example, here's a clip that I'm very proud of speaking at "The Big Event" in Sacramento, CA in 2014. It took a lot of work to get to this stage, but with some coaching and training, I got there! Maybe you're like I was, a bit overwhelmed, not knowing how to pull it off? Fear no more! If you want to become a great public speaker or hone your existing speaking skills, you can! Join us for Speak Up starting next week, September 8th with classes on Thursday evenings throughOctober 27th. Speak Up is a coaching and training program for aspiring speakers, as well as speakers with experience that want to "up their game" and knock it out of the park! And... you get two-for-one! My co-presenter will once again be Monica Ricci, an accomplished speaker extraordinaire. I hope you'll join us. Get the details here. P.S. Use coupon code SPEAKUPSPECIAL to get $100 off the registration fee! 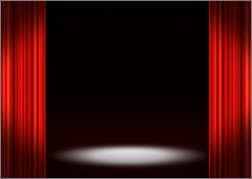 Have you ever had to give a presentation and needed help writing and organizing it, or coaching on how to present it? Or if you've ever wanted to learn how to use speaking as a powerful marketing vehicle or actual income stream… then check out my 8-week program, Speak Up: Crafting and Delivering Killer Presentations to Boost Your Business or Career. Many of my clients come to me because they want to add revenue to their business and find ways to increase their visibility. Speaking -– and getting paid to do it –- is one of the top strategies I recommend when working with my business/entrepreneur clients. Even my clients that work for a corporation or organization often come to me for speaking training and coaching, as they too need to hone those ever-important speaking skills. That's why I'm once again offering Speak Up: Crafting and Delivering Killer Presentations to Boost Your Business or Career. And I'm excited that my colleague, Monica Ricci will co-facilitate with me. Monica and I have shared the stage together a few times now with amazing results! This 8-week teleclass-based group program kicks off on September 8th. Take a minute right now and make a decision as the early bird rate of only $697 ends August 11th. If this sounds like a good fit for where you want to take your business or career, register now. Questions? Send me an email at Lisa@LisaMontanaro.com and we can set up a time to chat. And if you are a NAPO member or an LMGU alumni, contact me for a special coupon code for special rate!Hopefully you saw the announcement that I'm partnering up with my colleague, Monica Ricci, to offer a fabulous online program this summer called Speak Up: Creating and Delivering Killer Presentations to Boost Your Business or Career. The program begins on September 8th and the early bird rate is in effect until August 11th. Monica and I got together using Google Hangouts last time we offered this program and created a short little video to give you an idea of what Speak Up is all about. Click here to watch the video. (Please note that the video mentions June 12th as the start date. This year's program starts on September 8th. Everything else in the video is accurate and describes the program and our passion for teaching it, so we decided to keep the video the same and figured you'd be able to overlook the date issue!) The video should answer many of your questions about the program, and hopefully get you excited about joining us! This program will help you learn how to be a dynamic speaker! Whether you've hardly presented at all and need to overcome your fear of public speaking, or if you're a proficient public speaker but really want to up your game and start knocking your presentations out of the park, this program is for you. Speaking has done wonders for my career even before I started my business, and has become a huge income stream for me in my current business model. Monica also has benefited from adding speaking services to her business, both as a marketing tool and as a standalone income stream. We want to take everything we know about speaking . . . The art and craft of it, the snafus that occur and how to handle them, how to add in your unique voice via humor, storytelling, and authenticity, how to really connect with your audience, and more! We won't be holding back at all. We have stellar content that we are ready to share with you. All you have to do is Watch, Listen, Act and Speak. That is ... watch and listen to this video, act on it by registering to join us, and then get ready to speak up in September! Visit https://www.lisamontanaro.com/speakup for details and registration. And if you are a NAPO member or an LMGU alumni, contact me for a special coupon code for special rate! Hopefully you saw the announcement that I'm partnering up with my colleague, Monica Ricci, to offer a fabulous online program called Speak Up: Creating and Delivering Killer Presentations to boost Your Business or Career. The program kicks off on Septmeber 8th... and the early bird rate is in effect until August 11th. 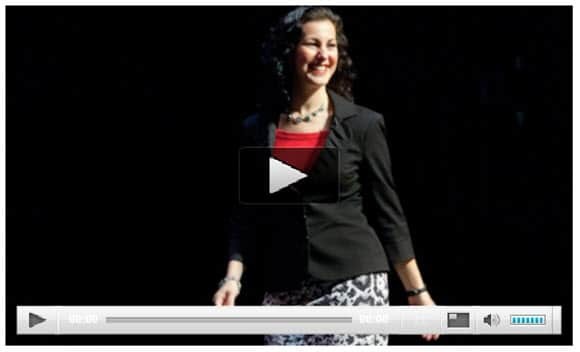 This program will help you learn how to be a dynamic speaker! Whether you've hardly presented at all and need to overcome your fear of public speaking, or if you're a proficient public speaker but really want to up your game and start knocking your presentations out of the park, this program is for you. Speaking has done wonders for my career even before I started my business, and has become a huge income stream for me in my current business model. Monica also has benefited from adding speaking services to her business, both as a marketing tool and as a standalone income stream. We want to take everything we know about speaking... The art and craft of it, the snafus that occur and how to handle them, how to add in your unique voice via humor, storytelling, and authenticity, how to really connect with your audience, and more! We won't be holding back at all. We have stellar content that we are ready to share with you. For details and registration, visit https://www.lisamontanaro.com/speakup And check out the Special Bonus for the First 5 People to Register! Questions? 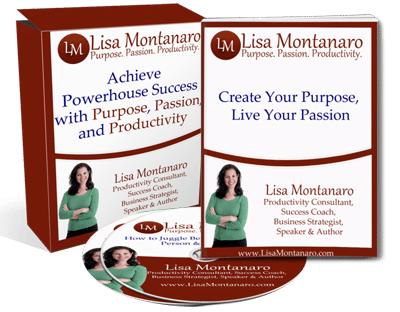 Send me an email at Lisa@LisaMontanaro.com and we can set up a time to chat. And if you are a NAPO member or an LMGU alumni, contact me for a special coupon code for special rate! 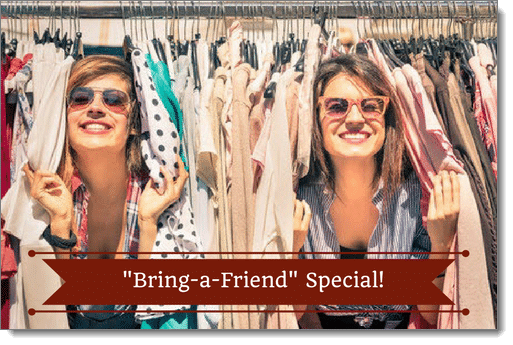 “Bring-a-Friend” Special Speak Up Offer! 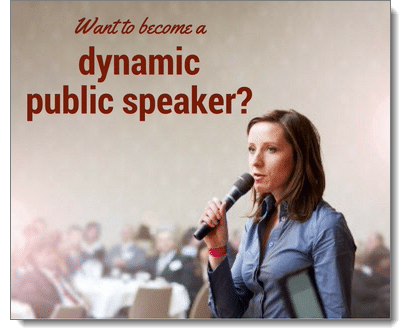 Learn the Tricks to Become a Dynamic Speaker! Isn’t it always more fun to do something with a friend? And you get double the support and accountability too! And I’m excited that my colleague (and friend), Monica Ricci, will once again co-facilitate with me. Monica and I have shared the stage together a few times now with amazing results! Join us for this 8-week teleclass-based group program kicks off on Thursday, June 1st and we conclude on July 20th. The class meets virtually for 1.5 hours at 4 pm Pacific/5 pm Mountain/6 pm Central/7 pm Eastern. 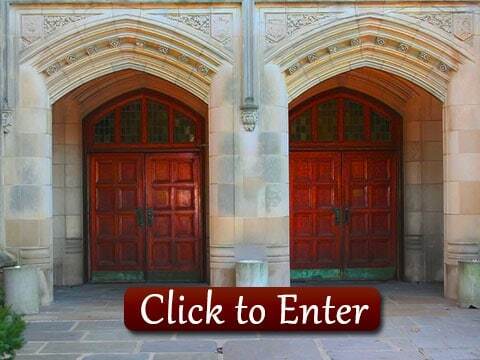 Take a minute right now and make a decision as the early bird rate of only $697 ends May 15th. Plus, to thank you for being a loyal newsletter subscriber, you can use coupon code SPEAKUP50 to get an additional $50 off of your registration even during the early bird sale. If this sounds like a good fit for where you want to take your business or career, register now. Questions? Send me an email at Lisa@LisaMontanaro.com and we can set up a time to chat. Join Us for the Speak Up 8-Week Online Program Starting June 1st & Learn the Tricks to Become a Dynamic Speaker! Want to become a dynamic public speaker or hone your existing speaking skills? Have to give a presentation and need help writing and organizing it, or coaching on how to present it? Want to learn how to use speaking as a powerful marketing vehicle or actual income stream? Many of my clients come to me because they want to add revenue to their business and find ways to increase their visibility. Speaking – and getting paid to do it – is one of the top strategies I recommend when working with my business/entrepreneur clients. Even my clients that work for a corporation or organization often come to me for speaking training and coaching, as they too need to hone those ever-important speaking skills. That’s why I’m introducing Speak Up Summer Camp: Crafting and Delivering Killer Presentations to Boost Your Business. And I’m excited that my colleague, Monica Ricci, will once again co-facilitate with me. Monica and I have shared the stage together a few times now with amazing results! This 8-week teleclass-based group program kicks off on Thursday, June 1st and we conclude on July 20th. The class meets virtually for 1.5 hours at 4 pm Pacific/5 pm Mountain/6 pm Central/7 pm Eastern. Take a minute right now and make a decision as the early bird rate of only $697 ends May 15th. And . . . the first five people to register get BONUS gifts! NEW! This year we have a “Bring-a-Friend” Special Offer. Register with a friend or colleague and you can BOTH save an additional $200! (And yes – you can “stack” any of the coupons mentioned for even more savings). Listen to my recent interview on “The Divalution Show” where we talked about getting your life in balance, multi-tasking… and more. Come join me in Pittsburgh on April 27th from 8:30-10 am for the Spotlight Consulting Interactive: Business Consulting in Action session of the 2017 National Association of Professional Organizers (NAPO) Conference. How would you like to be a fly on the wall during a business consulting session? This interactive learning opportunity will feature role plays of a business consultant and client in action. Learn the process of business consulting, including gathering information, active listening skills, asking probing questions, reframing, evaluating, problem solving, and offering customized solutions. Discover your peer’s business challenges while also gaining business consulting process skills to use with your clients in the future. Looking forward to seeing you in Pittsburgh! Learn more about the NAPO 2017 Conference and register to attend here. So excited to share this video of the highlights from the Brazilian Professional Organizers Conference where I was the international keynote speaker in June 2016. What an impressive event! It’s such a great example of how professional organizing is exploding as an industry worldwide. This is your last chance to join me and my fabulous colleague Monica Ricci for the Speak Up Online Program, which starts this Thursday, September 8th. This program will not only help you become a better public speaker, but a better overall communicator. And who wouldn’t want to be better at communicating?! Whether you run a business, or have a job, you have to master the art of speaking and communication to effectively engage with your clients, customers, co-workers and the public. And just to give you a taste of what we will cover, and our smart but sassy style, here is an article that Monica recently wrote called Three Things You Should NEVER Do When Making a Presentation. It’s great content, funny, and will give you some immediate takeaways. Want the whole kit and caboodle? Join us for Speak Up!! It’s not too late to snag a spot and be on the line live with us on Thursday September 8th. PS. 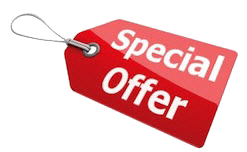 You may have noticed in Monica’s article she offers a $75 off coupon, but because you’re part of my network, you can save $100 with coupon code SPEAKUPSPECIAL. We start next week… won’t you join us for Speak Up? We have a great group of participants registered for Speak Up: Crafting & Delivering Killer Presentations to Boost Your Business or Career that starts next week, but we still have room for a few more to join us! You know, as my career has evolved, I’ve always been fairly poised and confident in front of an audience. But there was a time when I would get butterflies in my stomach, or worry that no one would pay attention to my presentations. It took coaching and feedback to get to the point where I’m at now… presenting to large groups, speaking internationally and getting paid really great rates! It was a journey… and I got help along the way. For example, here’s a clip that I’m very proud of speaking at “The Big Event” in Sacramento, CA in 2014. It took a lot of work to get to this stage, but with some coaching and training, I got there! Maybe you’re like I was, a bit overwhelmed, not knowing how to pull it off? Fear no more! If you want to become a great public speaker or hone your existing speaking skills, you can! Join us for Speak Up starting next week, September 8th with classes on Thursday evenings throughOctober 27th. Speak Up is a coaching and training program for aspiring speakers, as well as speakers with experience that want to “up their game” and knock it out of the park! And… you get two-for-one! My co-presenter will once again be Monica Ricci, an accomplished speaker extraordinaire. I hope you’ll join us. P.S. Use coupon code SPEAKUPSPECIAL to get $100 off the registration fee! Have you ever had to give a presentation and needed help writing and organizing it, or coaching on how to present it? Or if you’ve ever wanted to learn how to use speaking as a powerful marketing vehicle or actual income stream… then check out my 8-week program, Speak Up: Crafting and Delivering Killer Presentations to Boost Your Business or Career. Many of my clients come to me because they want to add revenue to their business and find ways to increase their visibility. Speaking -– and getting paid to do it –- is one of the top strategies I recommend when working with my business/entrepreneur clients. That’s why I’m once again offering Speak Up: Crafting and Delivering Killer Presentations to Boost Your Business or Career. And I’m excited that my colleague, Monica Ricci will co-facilitate with me. Monica and I have shared the stage together a few times now with amazing results! This 8-week teleclass-based group program kicks off on September 8th. Take a minute right now and make a decision as the early bird rate of only $697 ends August 11th. And if you are a NAPO member or an LMGU alumni, contact me for a special coupon code for special rate! Watch, Listen, Act, Speak! Join us for Speak Up! 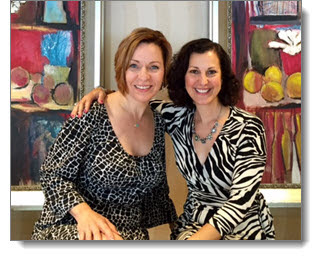 Hopefully you saw the announcement that I’m partnering up with my colleague, Monica Ricci, to offer a fabulous online program this summer called Speak Up: Creating and Delivering Killer Presentations to Boost Your Business or Career. The program begins on September 8th and the early bird rate is in effect until August 11th. Monica and I got together using Google Hangouts last time we offered this program and created a short little video to give you an idea of what Speak Up is all about. Click here to watch the video. (Please note that the video mentions June 12th as the start date. This year’s program starts on September 8th. Everything else in the video is accurate and describes the program and our passion for teaching it, so we decided to keep the video the same and figured you’d be able to overlook the date issue!) The video should answer many of your questions about the program, and hopefully get you excited about joining us! This program will help you learn how to be a dynamic speaker! Whether you’ve hardly presented at all and need to overcome your fear of public speaking, or if you’re a proficient public speaker but really want to up your game and start knocking your presentations out of the park, this program is for you. Speaking has done wonders for my career even before I started my business, and has become a huge income stream for me in my current business model. Monica also has benefited from adding speaking services to her business, both as a marketing tool and as a standalone income stream. We want to take everything we know about speaking . . . The art and craft of it, the snafus that occur and how to handle them, how to add in your unique voice via humor, storytelling, and authenticity, how to really connect with your audience, and more! We won’t be holding back at all. We have stellar content that we are ready to share with you. All you have to do is Watch, Listen, Act and Speak. That is … watch and listen to this video, act on it by registering to join us, and then get ready to speak up in September! Visit https://www.lisamontanaro.com/speakup for details and registration. Hopefully you saw the announcement that I’m partnering up with my colleague, Monica Ricci, to offer a fabulous online program called Speak Up: Creating and Delivering Killer Presentations to boost Your Business or Career. The program kicks off on Septmeber 8th… and the early bird rate is in effect until August 11th. We want to take everything we know about speaking… The art and craft of it, the snafus that occur and how to handle them, how to add in your unique voice via humor, storytelling, and authenticity, how to really connect with your audience, and more! We won’t be holding back at all. We have stellar content that we are ready to share with you. And check out the Special Bonus for the First 5 People to Register! and we can set up a time to chat.